Jacqui Tristana was made into a film directed by Luis Buñuel. Thanks, Jose. Yes, I’m going to try to get hold of the film on DVD to see how it compares to the novel. (I’d been holding off until my review of the book went up just to avoid any crossover between my impressions of the film vs. the source novel.) Have you seen the movie? I’ve seen the movie and had read the book. Both are classics of their respective arts. And probably a must for anyone interested in discovering Spain. I forgot to add that Galdós masterpiece was Fortunata and Jacinta. That’s good to hear. I’m curious to see how Buñuel’s adaptation compares to my impressions of the novel. I really do have to read more Spanish literature – it sounds so different and interesting. I loved this one, and it’s quite different to most of the other Spanish literature I’ve read (although my experience of 19th-century Spanish lit is limited to say the least!). In many ways, it reminded me of the classic French novels of this period. 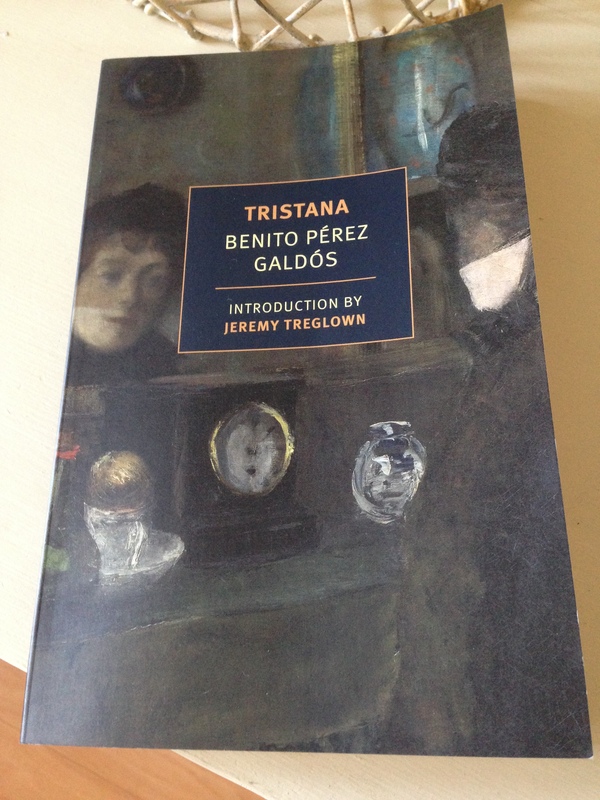 In the introduction, it mentions that Galdós had encountered the works of Balzac during a visit to Paris, so I suspect there are similarities in style/themes. This sounds like a great character study. The story of relationships involving younger women and older men and their tendency to stifle the women seem so common in are culture and date back centuries. Yet when explored by talented writers they still can yeild quality literature. It is. I think you’d like this novel very much, Brian. On the surface, it’s a classic set-up, the eternal love triangle, but in reality I think it’s much more interesting than that. Tristana’s awakening is wonderful to observe, she’s quite a feminist in many ways. And I didn’t see the ending coming. It’s quite a subtle novel. Jacqui although the film follows the novel’s structure (old man, young girl) it is a totally different presentation. Lots to compare there. Excellent, I’m looking forward to it. I’ve put it right at the top of the DVD rental list. You should write a post on the novel vs. film, Guy. I’ve enjoyed your previous compare-and-contrast pieces. This sounds excellent, really. I’m very curious about the story and how everything unfolds. Sorry! You’d enjoy this one, Emma. I’d put money on it. The characters are really interesting, quite nuanced and shaded, and it’s not always easy to predict what they’re going to do next (which is no bad thing). I didn’t see the ending coming until the last minute and wouldn’t have guessed it at the outset. In some ways, it reads like a classic French novel from the 19th century. I suspect that would have been my initial reaction had I read it blind without any mention of place names. It would make an interesting comparison with other novels from that period – some of Balzac’s novels, for example. Balzac gets a mention in the intro as Galdós discovered his work during a trip to Paris, so I wonder if he was an influence or reference point? I think you’d be in a great position to take a view on that type of thing. I’ve read a few of Galdos’ books – Nazarin and Inferno spring to mind – and was very excited to see this was being translated but still haven’t got round to reading it. Really pleased that your review is so positive. Oh, you’re in for a treat, Grant! I loved it – an intriguing, subversive story and the prose is a delight to read. I’ll take a look at the two you’ve mentioned as I’d be up for reading another at some stage. Another Spanish writer you may or may not want to read is Camilo Jose Cela, a Nobel prize winner, whose politics were somewhar despicable. His most famous novel is ‘The Hive’ or maybe ‘The Family of Pascual Duarte’. I haven’t read much literature translated from Spanish but this one sounds really good, I love the description of Don Lope Garrido, and the clever play on the two possible meanings for his surname. Lovely review Jacqui. It’s a great description, isn’t it? The opening pages are packed full of eminently quotable passages about Don Lope. I haven’t read much Spanish literature from this period (pretty much everything else I’ve read was written in the 20th century), but I thoroughly enjoyed this one. In fact, I’ve enjoyed virtually every single one of the Spanish language books I’ve read in recent years. It’s definitely worth taking a closer look if you fancy reading something in translation. Hope all is well with you Lindsay – thanks for dropping by. Excellent review, Jacqui, and an impeccable choice of quotations. I can’t believe how often I still think of this novel, with its complex characters, tragic narrative arc, and stingingly wry observations. It’s certainly not a book lacking a sense of humor, and yet it also manages to be deeply affecting. I’m very much tempted to re-read it now. Thanks, Scott. A wonderful novel – as you say, it has so much to offer. The narrative really does follow the shape of an arc, doesn’t it? Peaking with those delightful letters Tristana and Horacio write to one another. I had it my mind that your review included an excellent analysis of that section of the novel (which I loved), so I thought I should find something else to say in mine! Spot on about the combination of humour and poignancy. It’s quite an affecting story, definitely one to re-read. I think Guy had alerted me to this one, as it was already on my radar. Nice review as ever. The quotes seem a little florid, but that may be intentional as they seem quite 19th Century in style. Any thoughts? Thanks, Max. Yes, I put it on my wishlist after reading Guy’s review, and then Scott’s piece sealed the deal. That’s a fair question about the quotes and Galdos’ style of writing. It didn’t strike me as being overly elaborate or florid at the time; but then I knew I was reading a 19th-century novel, so I suspect my mind was already preconditioned to expect that type of prose style. Also, Tristana is quite young and feisty, and even though the novel is written in the third person, the passages reflecting her POV do reflect her spirited nature. It does, and the book as I say is already on my radar, so I may well read it at some point. It does sound interesting. The quotes didn’t put me off, they seemed to suit the material. Great. This is end-of-year material for me. Glad to hear it! Many thanks for sharing my review, very kind.